Since discovering Maybelline's Lash Sensational Mascara a few weeks ago I've been using it daily. However, when I gave in to the hype and tried out a sample of Benefit's new Roller Lash Mascara I couldn't help but realise just how similar the two products are. The packaging (the tube) of both mascara's are pretty similar,colour and design wise- personally I prefer the packaging of Benefit's Roller Lash as I think it looks that teeny bit classier. 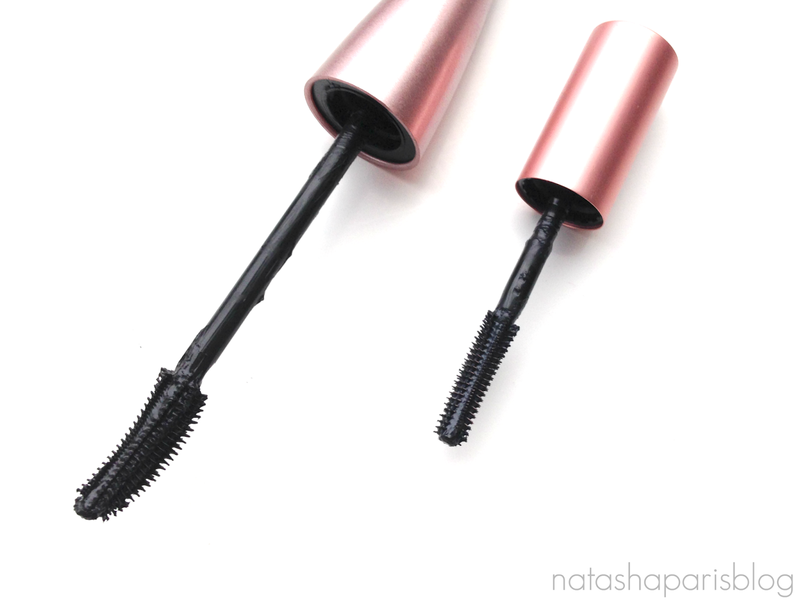 Both mascara's have a curved wand to help give lashes curl. At first glance the mascara wands are very similar,although I believe that the Maybelline Lash Sensational mascara wand has slightly more of an obvious curved shape (although this could be down to the mascara being on a larger scale - the Benefit Roller Lash is a sample size). 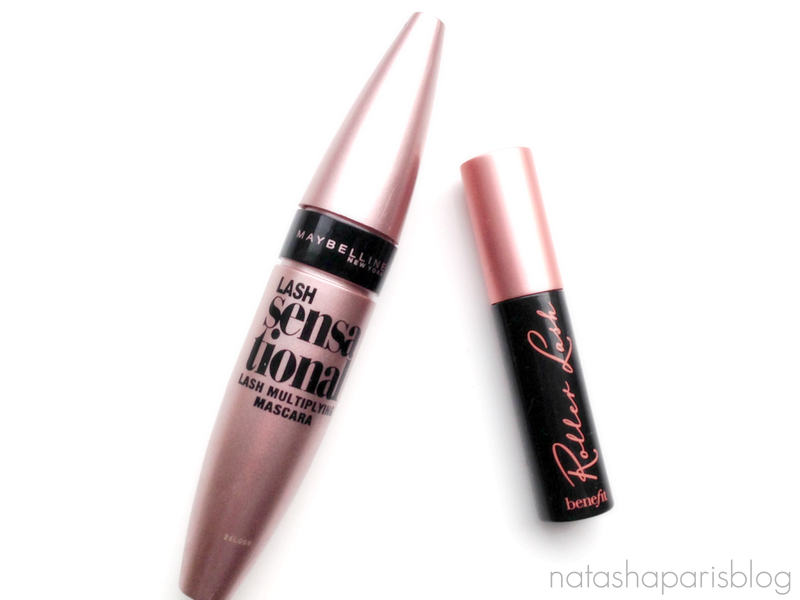 Both of the mascara wands work well,although I have found that the Maybelline Lash Sensational mascara has a tendency to pick up a little bit more product than Benefit's Roller Lash which means it's a little bit more difficult to work with than Roller Lash to try to avoid the dreaded 'clumpy' lash look. On the top photo I am wearing Benefit's Roller Lash mascara and on the bottom photo I'm wearing Maybelline's Lash Sensational mascara. 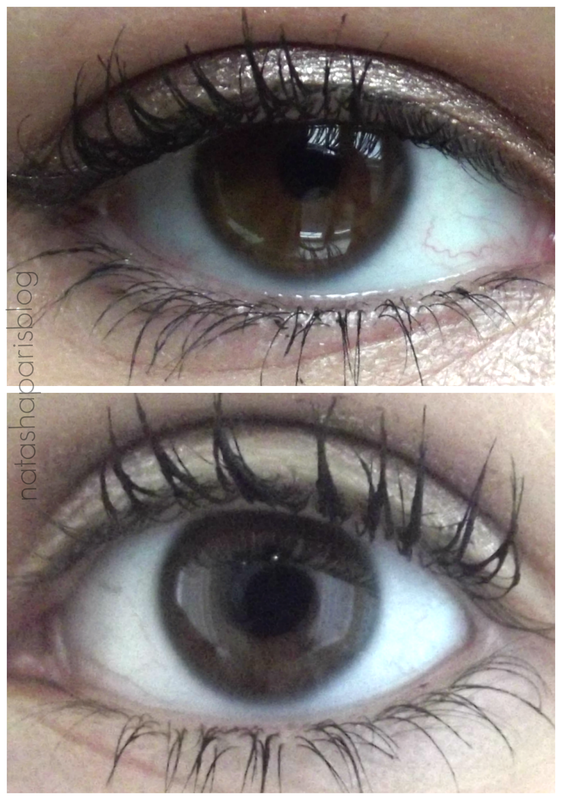 As you can see there really isn't a great deal of difference, in my opinion both mascara's work extremely well and the only difference is that Roller Lash is slightly better at separating the lashes whilst Lash Sensational gives a little bit more volume. Whilst I really am impressed by the Benefit Roller Lash mascara, I'm not sure whether I could justify splashing out nearly £20 on a mascara when I could spend just £5.99 and get practically the same result. I think for me Benefit's Roller Lash will be an occasional treat where as Maybelline's Lash Sensational is an everyday staple.